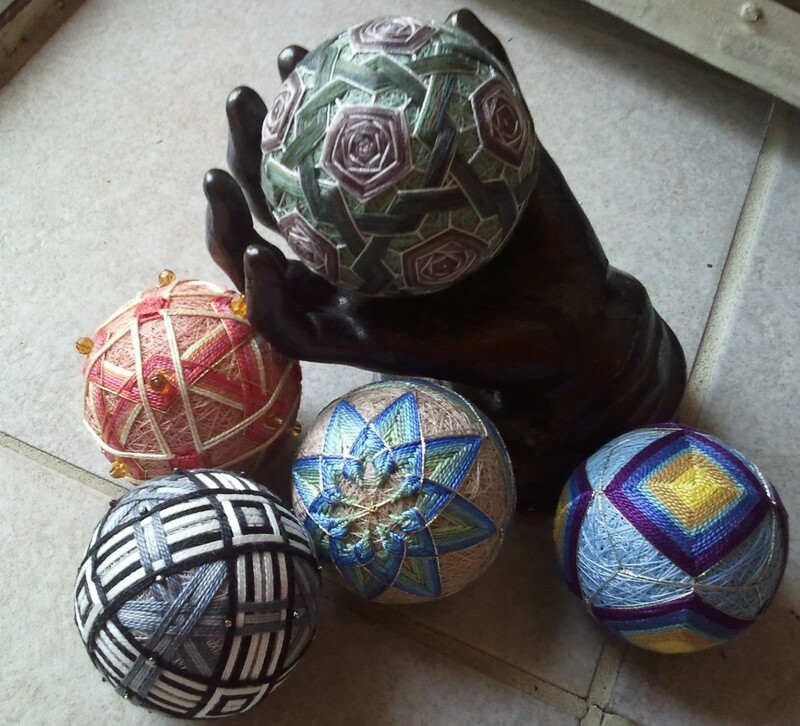 A few years back, I made temari for everyone in my family for Christmas. I also made several for our Christmas tree. Then I took a break from them. The book I used got boxed up when we moved, and it wasn’t as though I was lacking in other things to sew. Recently I found the book and have been getting back into making them– starting with the simpler ones and working my way back up to the more complex ones. As you do when you’re years out of practice. Temarikai.com is a marvelous resource for patterns and how-to articles if you’re curious. 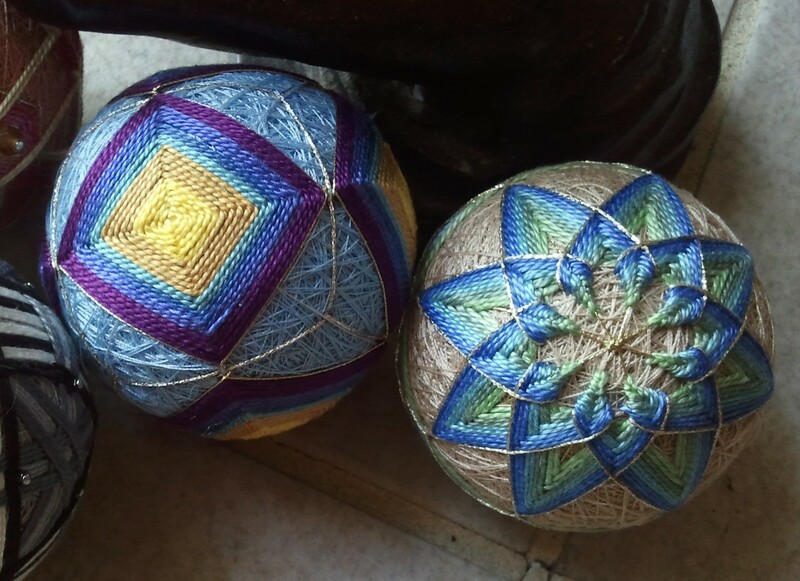 The simpler temari don’t take long at all (and really, neither do the more complex ones relative to a lot of embroidery projects.) I love how they look piled in a bowl, or sitting on a shelf, or (long-term goal) all over our Christmas tree. 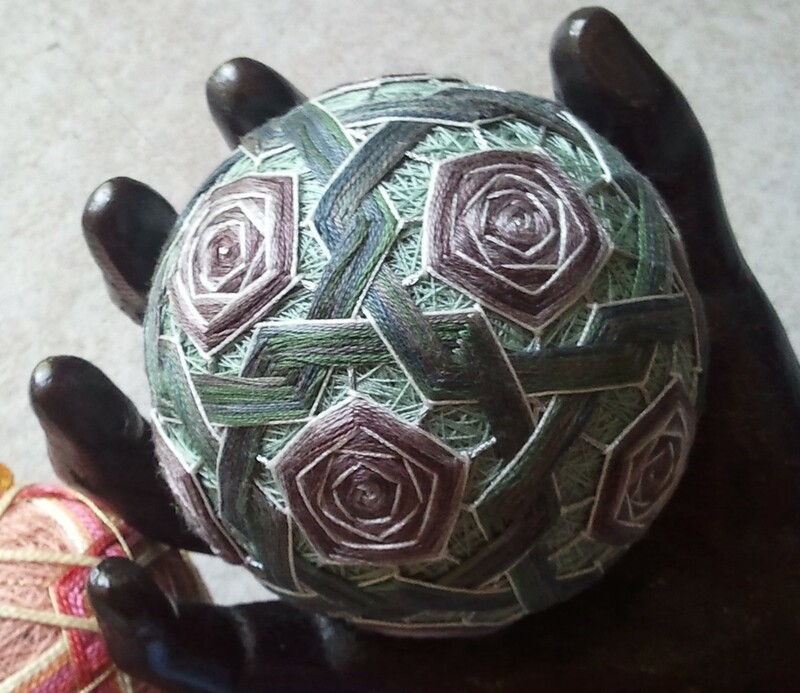 This entry was posted in Uncategorized and tagged embroidery, learning how to do things I already know how to do, temari by Rene. Bookmark the permalink.